Paul has a broad civil, commercial and chancery practice. He is a member of the Bar of England and Wales and also a member of the Bars of Ireland and the Isle of Man (currently non-practising). He is approachable and happy to discuss any matter pre-instruction. He is based in central London but also has a base in the North West and is happy to travel. Having been based in jurisdictions which are offshore financial centres, Paul dealt with trust disputes which were often complex and multifaceted spanning various jurisdictions. He has acted on behalf of both trustees and beneficiaries. He has also dealt with property disputes. This is something he wishes to continue in this jurisdiction. He also has experience of landlord and tenant disputes (both residential and commercial) and is keen to build and develop this aspect of his practice. highly complex commercial disputes involving major companies, banks, or high net worth individuals (in several jurisdictions). professional negligence claims, in particular involving lawyers, which Paul also has experience of in other common law jurisdictions (both defendant and claimant). sale of goods/supplies of services disputes. Paul was regularly instructed by major insurers in connection with employer liability/public liability claims and regularly acted on behalf of government departments in the Isle of Man in this regard. Paul has regularly undertaken professional regulatory work appearing on behalf of a major regulator. In this regard he is familiar with the issues which pertain in such matters both substantively and procedurally and also the pervasive administrative law elements. This is an area Paul is particularly keen to develop and welcomes the opportunity to discuss ideas with any client undergoing any regulatory process. After being called to the Bar of England and Wales in 2005, Paul spent two years working at international offshore law firm Mourant Ozannes in Jersey. Following this he relocated to the Isle of Man, qualified at the Manx Bar and practised exclusively in commercial litigation with another renowned international offshore law firm, Appleby. He undertook additional examinations for call to the Irish Bar and undertook pupillage there with an eminent commercial and chancery barrister. Paul returned to the English Bar in 2015. His practice as an Advocate at the Manx Bar was by nature of the profession a ‘fused’ role encompassing the traditional roles of both barrister and solicitor. This is something which he considers allows him to see a particular case from both perspectives and this is particularly valuable in the context of those cases in which he is instructed on a ‘Public Access’ basis. Paul has appeared in a variety of Courts and tribunals in all three jurisdictions including: High Courts, County Courts, Immigration Tribunals, Property Tribunal, Regulatory Tribunals, Crown Courts and Magistrates Courts. Paul enjoys history, (particularly British and Irish and the relations between the two countries), music (particularly jazz), travel and the occasional whisk(e)y.
I have used Mr Brennan on many occasions and find him to be incredibly thorough, efficient and reasonable. His ability to see the bigger picture and grasp matters quickly are invaluable. Paul [Brennan] was fantastic...A complicated case which Paul managed to resolve on the day with the District Judge. He called me straightaway after the hearing providing me with the outcome. He also provided me with a very detailed attendance note very quickly after the hearing. Would definitely recommend and use again. I spoke to Paul Brennan before, during and after the hearing and I was impressed with his work. I thought he showed initiative to ask for a quick break at the hearing to retrieve valuable information from ourselves to assist his argument. 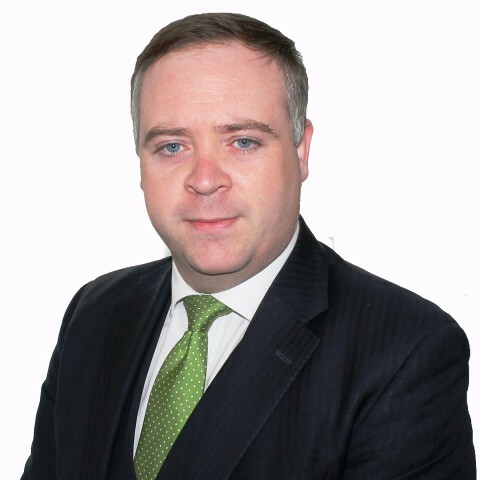 Outside of these key areas of law, Paul Brennan (2005) is always willing to consider any enquiry requiring the experience or knowledge needed to help you or your client. Please call Paul direct or the support team on 01823 247 247 if you would like to discuss any aspect of this profile.